Day after day, tweet after tweet, push notification after push notification, we are reminded that world is falling apart all around us. But every once in a while, a tiny victory reminds us that it’s not all a complete horror show. It’s just, you know, mostly bad. Mere hours ago, “Democrats and Republican women saved your health care.” That’s good news! A rare chance to exhale. But it’s not the only heartening news story I read Friday morning. 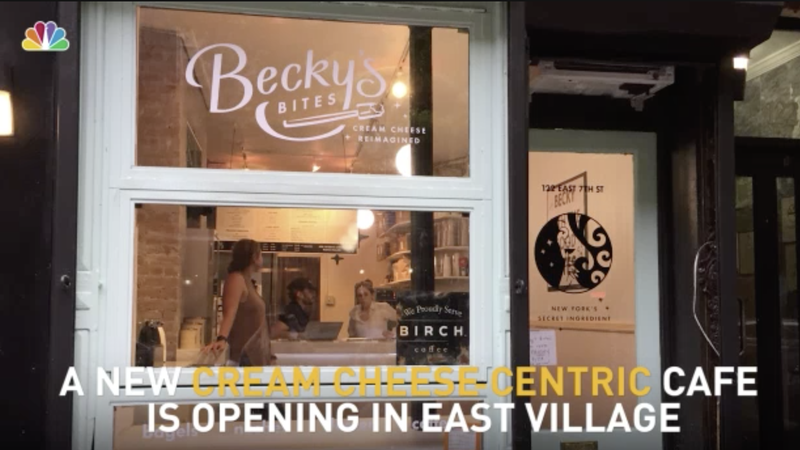 NBC New York reports a “cream cheese-centric cafe has opened” in Manhattan’s East Village, which means I’m exactly one (1) train and one (1) Lactaid tablet away from experiencing something resembling joy twice in one day. How often has that happened since last November? Becky’s Bites (a name I despise but will overlook for now) offers its lucky patrons “unique flavors of cream cheese for purchase,” including “cappuccino, cookies and cream, strawberry, loaded lox, funfetti and a few more.” While I’m typically a scallion cream cheese guy (boring, I know) I look forward to spreading cappuccino and/or loaded lox on some sort of carb before the sun goes down this evening. “Your cream cheese is how much? !” I’ll scoff at the cashier, before handing them a credit card and pulling an individually wrapped lactase enzyme out of my tote.